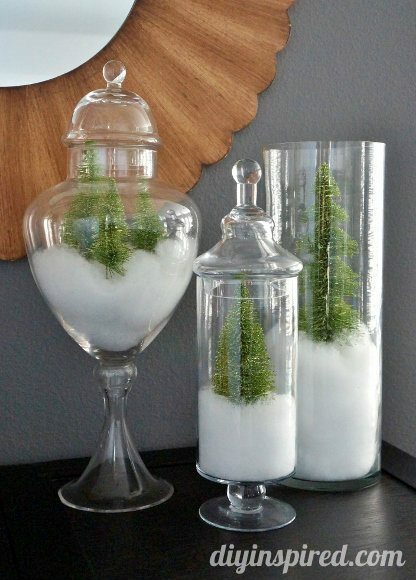 Sometimes the simplest things make the prettiest decorations. 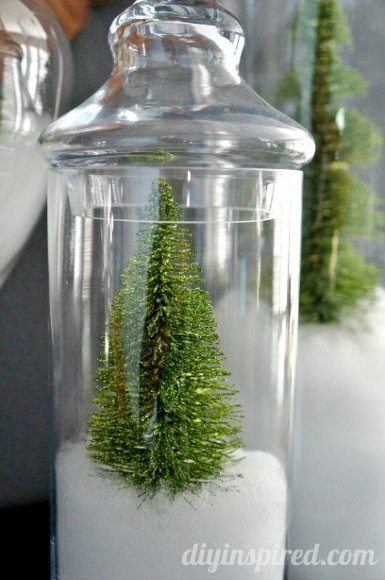 I found these cute little sparkly green trees the other day and decided to make this easy winter forest in apothecary jars for my fireplace mantel. 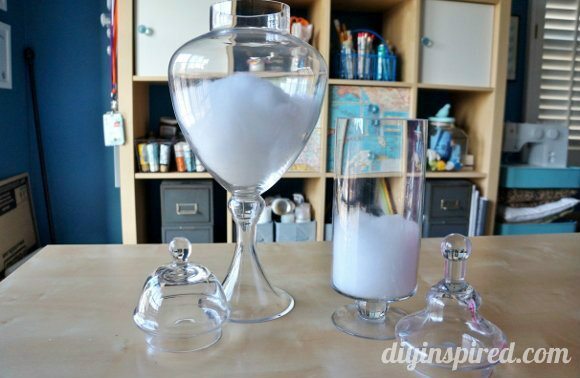 Apothecary jars are such a great investment for someone like me who loves to decorate and throw parties. I wait until they go on sale, or I have a coupon and buy them. I have them in many different shapes and sizes. I use them every day, but change the contents depending on the holiday or season. 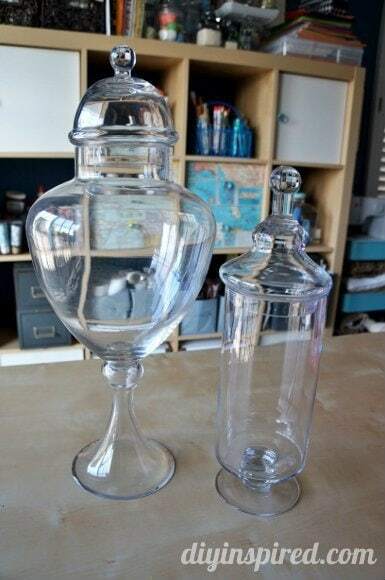 If you don’t have apothecary jars, glass vases work well too. For this project, I filled them with some cotton snow . I bought a bag for about $3.00 and used barely any of it! 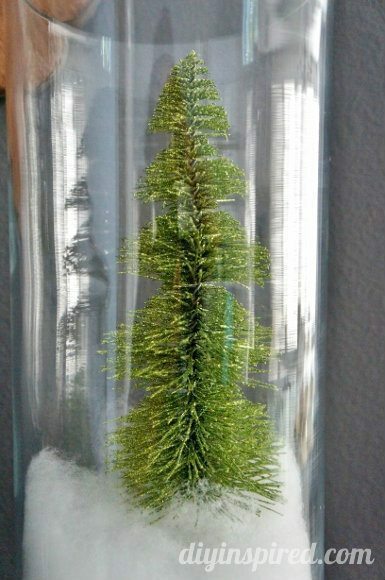 I found these adorable sparkly green trees at Walmart near the Christmas section where they sell the miniature villages. The large one was $2.00, the medium ones were $1.50 each, and the small ones were only $.75 apiece. This was a steal because as I shopped around at other places the large trees were around $7.00. I found small ones at a craft store for missions, but they weren’t as cute as these. BUT if you want them, you have to hurry because I bought the last two small ones at my Walmart! Here are a few photos. 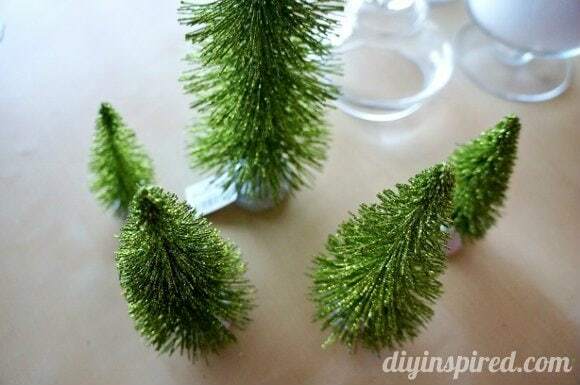 It’s so simple, very festive. I’d show you more of my mantel but it’s still a work in progress! So, stay tuned! 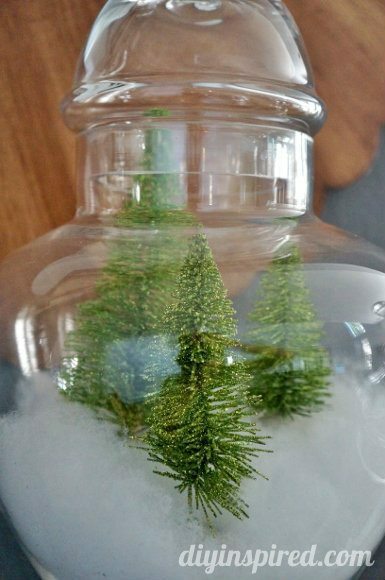 Many, Many, Many More DIY Inspired Ideas! That’s a great idea, Caroline! These are so cute, I really want to make a couple/few. We don’t get snow here; so those would be very cheerful. Same here! I am enjoying the SoCal weather right now. Thanks, Blondie! These are pretty neat! Perfect for how the weather’s been in Missouri lately. Thank you! I have to say, I don’t miss the cold growing up on the East Coast! Ha! It’s still sunny and 70 in SoCal!